Working with similar techniques used in commercial CGI animation and special effects, Jonathan Monaghan’s “Mothership” is an imaginative and haunting film. The work is funny and colorful, almost superficial, but at the same time based on a deep analysis of the history of art, politics, and social dynamics with an emphasis on former and actual power structures. Monaghan reverses the meaning and function of objects and characters, embezzling not only the elements and protagonists of pop culture, advertising, consumerism, and video games but also their subconscious strategies that elicit a particular response in us. The immediate familiarity granted by his imagery hacked from our cultural heritage mediates the surreal foreignness of his aesthetic, creating a nightmarish edge in which we remain trapped in an endless loop of seductive but ultimately vacuous simulation where meanings don’t quite materialize. 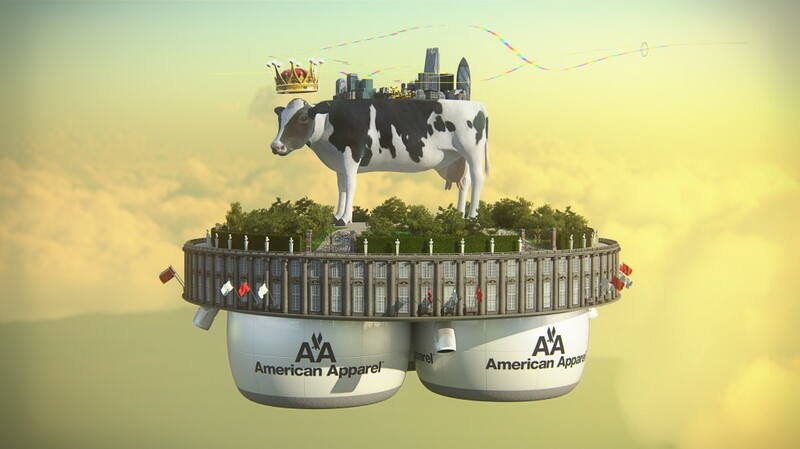 Jonathan Monaghan is an innovative young artist working at the cutting edge of animation. The artist is a self-avowed video game fanatic and was highly influenced by video games from his youth, such as “Super Mario Brothers” and “Street Fighter.” Monaghan plucks and alters the characters and environments from these games to create new narratives in synthetic environments. Monaghan has been recognized internationally for his accomplishments in digital animation. The US State Department invited him to discuss his work and CGI in Bahrain. He has been invited to lecture at Ravensbourne College, London; College Art Association, New York; and Tsighua University, Beijing. He has presented his work internationally at Market Gallery, Glasgow; Atopio, Oslo, onedotzero_ adventures in motion, BFI Southbank, London, GIRAF Animation Festival, Calgary, International Rotterdam Film Festival, Contemporary Art Centre of Thessaloniki, and the Today Art Museum, Beijing & Shanghai Doulon Museum of Modern Art, Shanghai. A graduate of the University of Maryland and a former Hamiltonian fellow, he has also presented his work in screenings and exhibitions in the US at the Hirshhorn Museum and Sculpture Garden, Washington, DC; Maryland Institute, College of Art, Baltimore, MD; Curator’s Office, Washington, DC; Vox Populi, Philadelphia, PA; Hamiltonian Gallery, Washington, DC; Conner Contemporary, Washington, DC; 4Culture-e4c, Seattle, WA; The Frostic School of Art, Western Michigan University, Kalamazoo, MI; Anthology Film Archives, New York, NY; San Francisco International Animation Festival, San Francisco, CA; Boston Underground Film Festival, Boston, MA.